From the author of New York Times bestseller You're Wearing That? 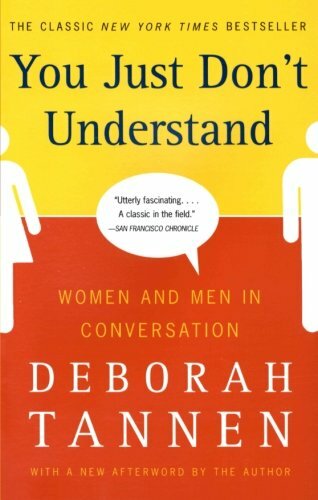 this bestselling classic work draws upon groundbreaking research by an acclaimed sociolinguist to show that women and men live in different worlds, made of different words. Women and men live in different worlds...made of different words. Spending nearly four years on the New York Times bestseller list, including eight months at number one, You Just Don't Understand is a true cultural and intellectual phenomenon. This is the book that brought gender differences in ways of speaking to the forefront of public awareness. With a rare combination of scientific insight and delightful, humorous writing, Tannen shows why women and men can walk away from the same conversation with completely different impressions of what was said. Studded with lively and entertaining examples of real conversations, this book gives you the tools to understand what went wrong -- and to find a common language in which to strengthen relationships at work and at home. A classic in the field of interpersonal relations, this book will change forever the way you approach conversations.